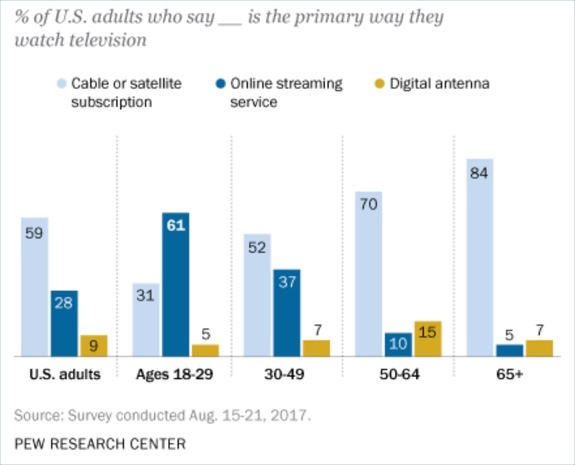 One very important caveat to the data is the Pew did not break out how many of the 59% of 18-29 year-olds who prefer streaming still do watch pay-TV. This is an important distinction - just because this age group prefers streaming, it does not mean they have abandoned pay-TV altogether. 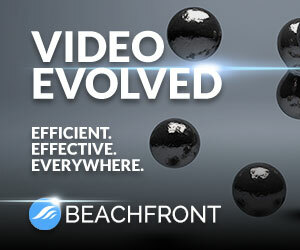 In fact, staying tethered to pay-TV is easier now than ever with the advent of TV Everywhere services. Benefiting from a parent’s pay-TV subscription now means using their credentials to watch on any device, as opposed to having to only watch through a set-top box in their home. Still, the Pew data, combined with last week’s from Adobe and Limelight, continues painting a picture of a pay-TV industry that is aging up. Younger people are typically the earliest adopters of newer technologies, and this is surely true of streaming services as well. For streaming though, the appeal is more than just technological, it’s also the massive investment in original content SVOD services are making that often (though not always) tends to skew to edgier, darker plot lines than typically found on broadcast, or even cable TV. It also doesn’t hurt that Netflix and Amazon, the 2 most popular SVOD services, are ad-free. Talk of cord-cutting escalated last week with a new eMarketer report forecasting an ad slowdown driven by fewer pay-TV subscribers than expected, plus Comcast CEO Brian Roberts’ concession that the company was experiencing a “competitive patch” in Q3 leading to unexpected subscriber losses. No doubt the cord-cutting chatter will only further heighten if Q3 results from major pay-TV operators reported next month do indeed show elevated losses. Underneath the trend is a generational divide that’s becoming increasingly visible. Younger audiences are tuning out pay-TV. Lower priced skinny bundles partially address the issue, but have their own drawbacks. Increasingly, the industry’s main challenge is how to make its product relevant and appealing to younger audiences who are fleeing to streaming.